Improvements to the recently acquired Rivendale Park and Open Space to move to the next phase. In an unanimous move, the Santa Clarita City Council approved a conceptual master plan for improvements to the the Rivendale Park and Open Space, located at the entrance of Ed Davis Park at Towsley Canyon in Newhall. The conceptual plan, reviewed by the Parks, Recreation, and Community Services Commission in June, calls for improvements on 14 acres of the 60 acre park. These improvements include nearly tripling the size of parking (From the current 107 spaces to 311), 2 and a half miles of trails, improved trailheads, a cultural/educational area, and an amphitheater with approximately 300 fixed seats plus grass seating, as well as the addition of three small restrooms. Since the City of Santa Clarita acquired the Rivendale property in 1995, its use has been limited primarily as an entry point to the already established trail heads located within Ed Davis Park at Towsley Canyon. The site is made up of three parcels which were annexed into the City of Santa Clarita in 2003. In 2012, the Parks, Recreation, and Community Services Commission supported the development of a master plan which would allow for improvements on the Rivendale property. Community workshops helped to identify the community’s desire for improvements as well as to make suggestions for development and use of the open space to the benefit of the area residents. Open Spaces and hiking trails available throughout the Santa Clarita Valley. HikeSantaClarita.com provides outdoor and trail enthusiasts with information and links to the various trailheads and open space parks in the Santa Clarita Valley. This is a great opportunity to learn more about the natural surroundings of the Santa Clarita Valley, and a great way to spend time with family and friends. 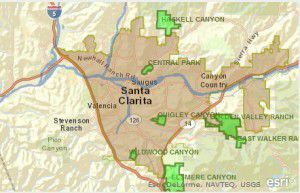 Considering a move to Santa Clarita? Montemayor & Associates can answer all of your questions not only about the Santa Clarita housing market, but about the city’s amenities, economic development, schools, and things to do in our valley which in many cases, help to make up the minds of those who are considering a move to the area. Contact us at any of the numbers listed at the top of this page, or simply fill out the quick response form below.